Ed joins either other famous faces as they are pushed to their physical and emotional limits in a valiant attempt to scale Mount Kilimanjaro, Africa’s highest mountain, to raise money and help change lives this Red Nose Day. Ed and the intrepid new recruits - Shirley Ballas, Jade Thirlwall, Leigh-Anne Pinnock, Dan Walker, Anita Rani, Dani Dyer, Alexander Armstrong and Osi Umenyiora - share tents, laughs and tears during their exhausting eight-day trek, climbing 19,000ft together. This one-hour special will be broadcast on Wednesday 13th March on BBC One. Watch it here. 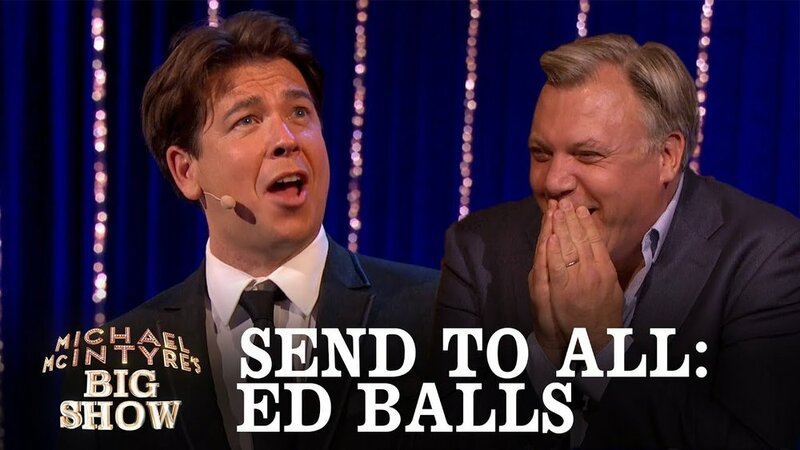 Ed Balls hosts a gathering with a twist. All his guests are from beyond the grave, longtime heroes brought back to life by the wonders of the radio archive. In 2016 Ed wowed the nation and was dubbed 'The People's Champion' after an extraordinary response to his performance in BBC's Strictly Come Dancing. His memorable performance of Gangnam Style with partner Katya Jones was nominated for the 2017's Virgin's Must See Moment BAFTA Award.